This is the second class in our Beginning Quilting series. In addition to refining the skills you learned in Quilting 101, you will also learn how to piece 1/2 square triangles, assemble different types of blocks, and add sashing. At the end of this class, you will have completed the top of this quilt. This class takes place over 5 sessions. 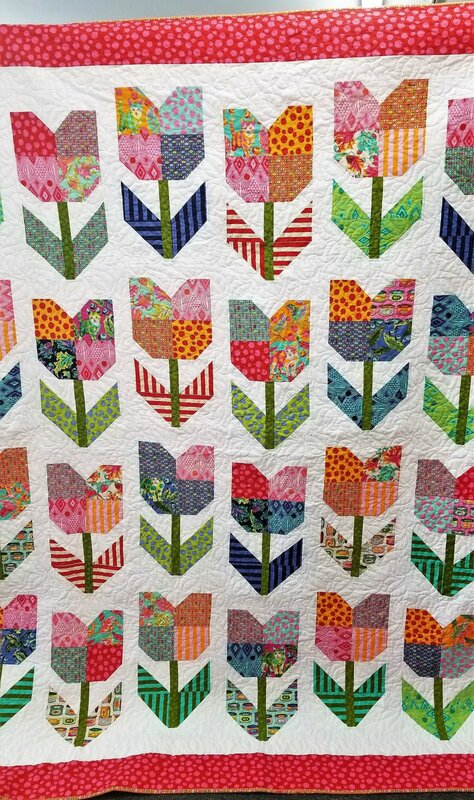 Pattern is Totally Tulips by Missouri Star Quilt Co.